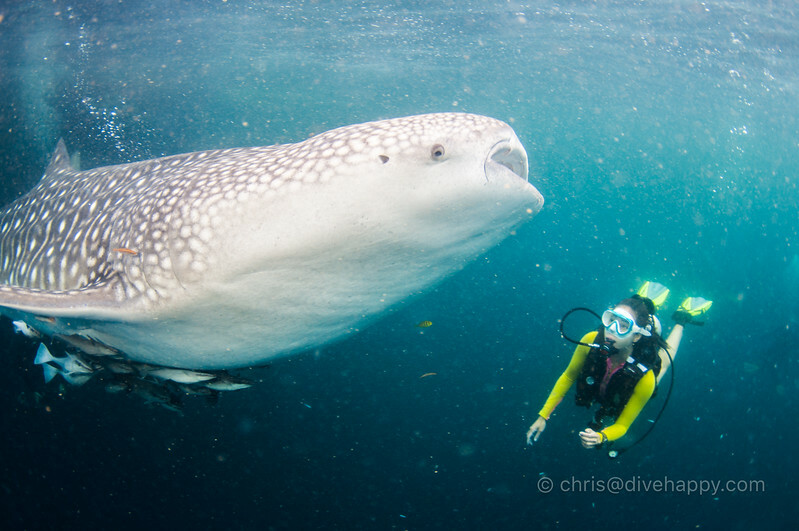 The regular appearance of whale sharks at Triton Bay’s Namatota area around floating fishing platforms provides yet another reason to dive this fantastic area of Indonesia. Indonesia’s Triton Bay is famous for its outsize corals and marine life – the area’s waters is essentially a vast nutrient soup which makes for often poor visibility but also means everything is bigger and better. It’s like Raja Ampat on steroids. But there’s a whopper of an attraction in Triton Bay that is still not that well known and often not on liveaboard itineraries – close-up, prolonged encounters with whale sharks. The Triton Bay Divers resort, now in its third year of operation, has been building relationships with local villages and fishermen and sharing their knowledge with visiting liveaboards too – and one of their key discoveries were fishing bagans, or platforms, in Triton Bay’s Namatota area (also spelt as Namatote). 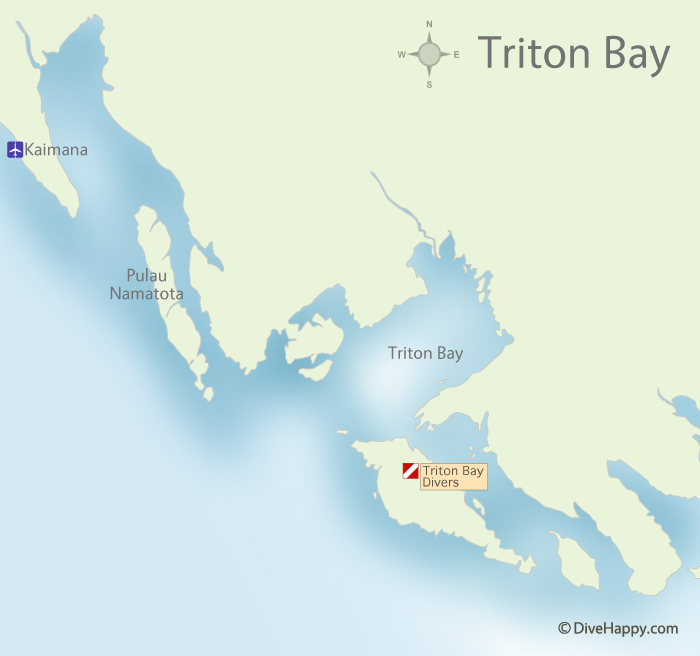 Several liveaboards now regularly visit Triton Bay – view pricing, schedules and availability. These fishing platforms have huge bait filled nets hanging underneath them which attract whale sharks looking for an easy meal. 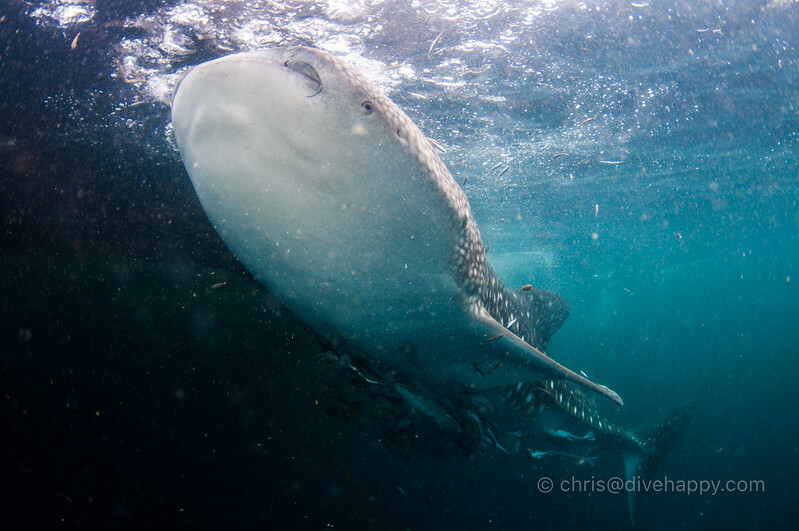 It’s remarkably similar to seeing whale sharks in Cenderawasih Bay, although it’s not quite on the same level: the whale sharks don’t always show up, it’s often just one or two and then tend to prefer early morning 630 am to 9 am to feed before disappearing for good. But still – whale sharks! The morning we dived at Namatota, we had two moments of good fortune – the previous night had been the night of the full moon, which usually means the fishermen’s catch is poor as the moonlight interferes with the lights they hang over the water to attract the bait fish. No fish, no sharks show up. However, there had been a torrential thunderstorm and the cloud had blocked the moon, allowing for a good catch. 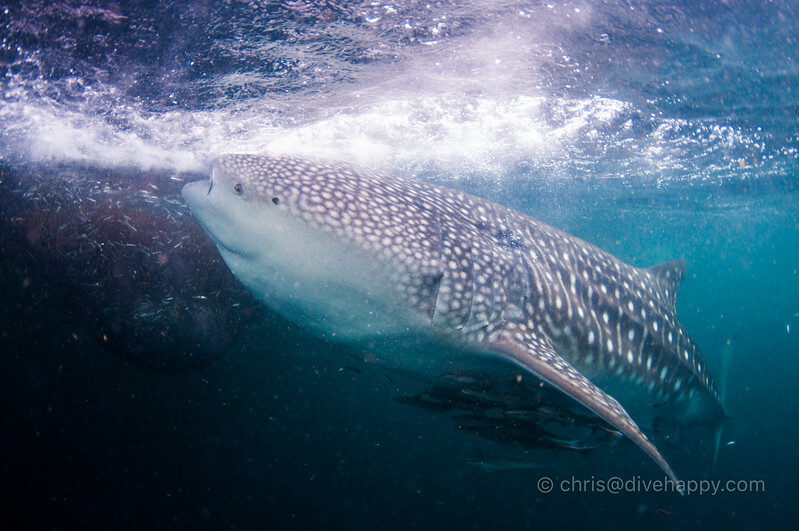 The second stroke of luck was that not one but two whale sharks showed up, and one of them was at least 6 metres long. Typically in Cenderawasih it’s juvenile whale sharks that show the most interest in the nets and they are still an impressive 3 metres plus. Our first hour in the water at Namatota was dominated by Big Daddy before he imperiously disappeared into the gloom. The second shark stayed around for another couple of hours, even doing a loop around our tender boat when it was time to leave as a farewell flyby. 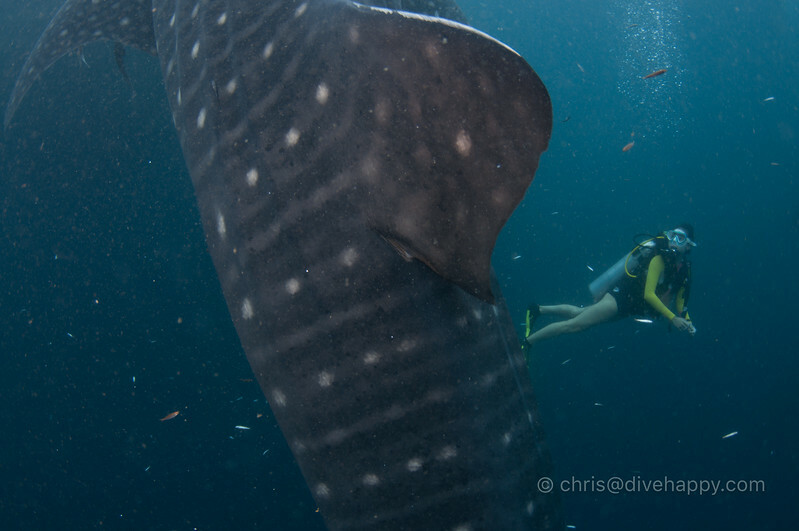 Triton Bay’s Whale Sharks, then, are a bit more hit and miss than Cenderawasih. Jimmy Thai, co owner of Triton Bay Divers, reckons says they see them with 60 to 70% success rate – maybe just one, maybe not for very long, but certainly worth investing the time in seeing if they show up. There is a pleasant dive at Namatota Wall which is nearby and a useful consolation if the whale sharks are a no-show. If this success rate continues, it will make Triton Bay one of the best places in the world to see whale sharks – not just a five second shadow passing by, but prolonged time in the water with these huge, graceful creatures.